NOTE: Run as root to ensure database configuration at /root/.my.cnf is loaded. You can use Docker Compose to launch a multi-container cluster on Docker. 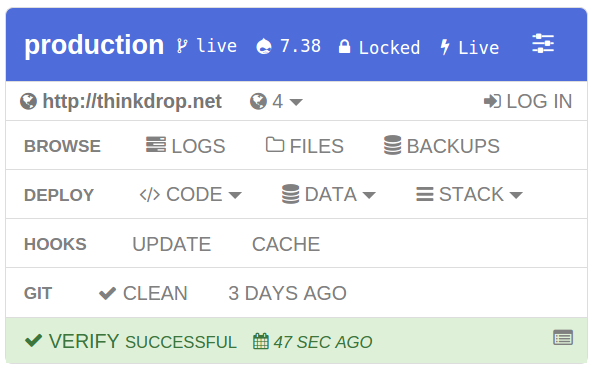 Self-hosting without all the work. All you need is your site's source code in a git repository and a web browser. With a few clicks (or taps) you can create and manage as many environments for your site as you wish. 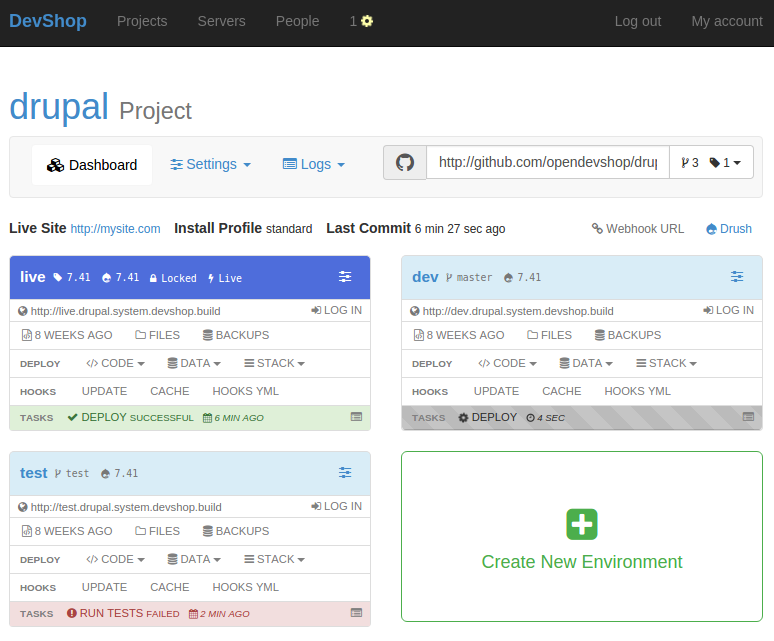 OpenDevShop is open source, and is built on Drupal and Drush. Extend it and improve it as you wish. Installation takes minutes, and does everything for you. No need to even create a user. All this, with open source software. Commit, Test, Deploy: Out of the box. 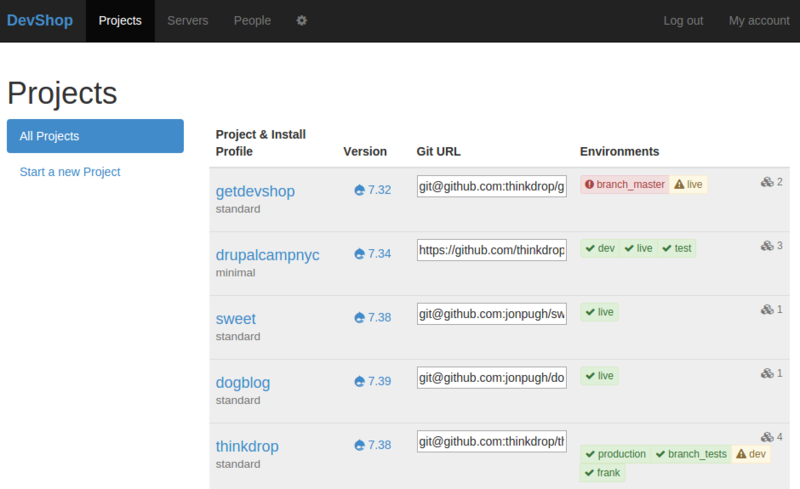 Continuous integration with GitHub. Add simple Behat tests and get an environment for pull request. OpenDevShop makes web developers more efficient and quality assurance quick and easy. Usability is our number #1 priority. We've worked hard to design log output that is easy to read.